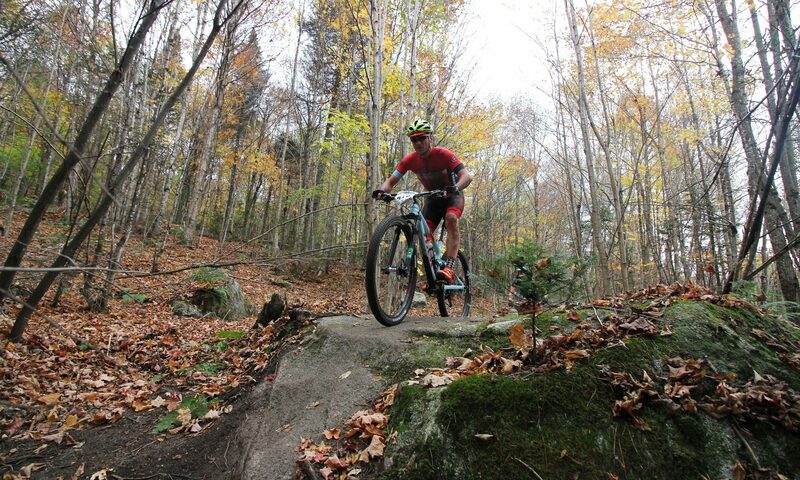 In 2015, more than 450 trail runners and mountain bikers from across New England converged on East Burke for this annual autumn ritual of suffering and singletrack, known as the CircumBurke. Congratulations and thanks to the athletes, volunteers and sponsors who made it happen, especially the Belmont Stock Farm and Kingdom Trails for hosting and to Chris Scott and Sue Johnston of the Coyote Scramble for grilling up cheese sandwiches for runners ( and bikers) in the Victory feedzone all day, along with dozens of other essential feedzone and road crossing volunteers. Please help us fill in the blanks and inaccuracies by sending your corrections to jmcgill64@gmail.com. Numbers were occasionally obscured by mud and garments . Front runners in the trail running event often felt like orienteers. Your patience and determination exemplifies the CircumBurke spirit. We apologize. Route signs will be better next year. 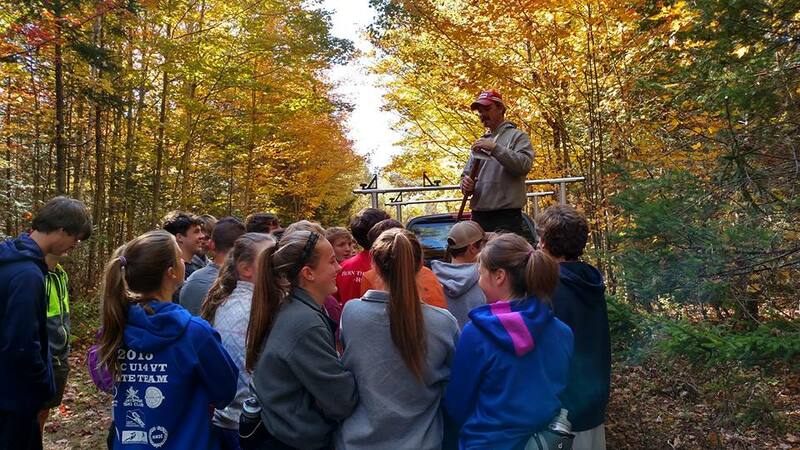 CJ Scott of Kingdom Trails and John McGill conducted official reconnaissance of the 2015 C-Burke route this Monday. The offers plenty of singletrack and every kind of trail type – ranging from sweet KT trail with bridges, benches and some bermed turns, to fresh homemade runs and tough logging trails with waterbars, pallet bridges or no bridges at all. Trail conditions range from smooth packed dirt, to rocky and rooty, and of course there IS mud in places like the infamous “Gold Trail” which is the toughest part of the challenge. We began the ride from the start venue, the Belmont Stock Farm by ascending northwards on Kirby Connector. The course then drops down on lower J-Bar to Q-Burke Base lodge and then climbs up Shire, up Camptown and up the CCC Road before descending into Victory on the traditional circuit which has some big improvements and surprises.The return to East Burke on the Gold Trail was a little tough because of the slightly muddy water bars so I was happy to hit North Pasture Trail, Trillium, and Dashney Rd. to the Burke Base Lodge. 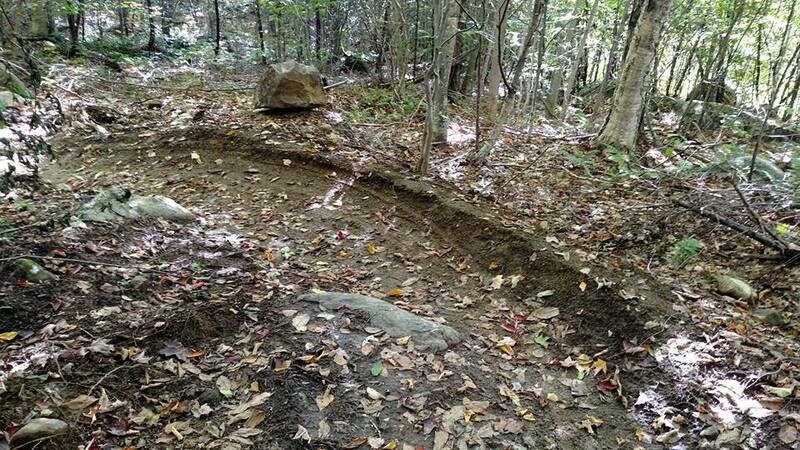 The long gradual Red Trail climb was the final grinding obstacle before the relaxing descent of Kirby Connector to the finish area at the Stock Farm. 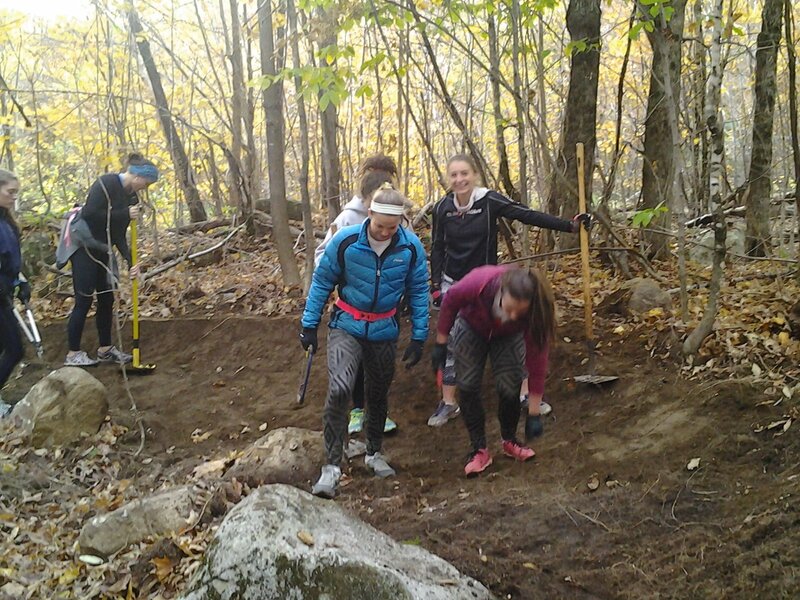 Yesterday, a veritable battalion of BMA students and faculty performed trailwork on the Victory Hill trails. 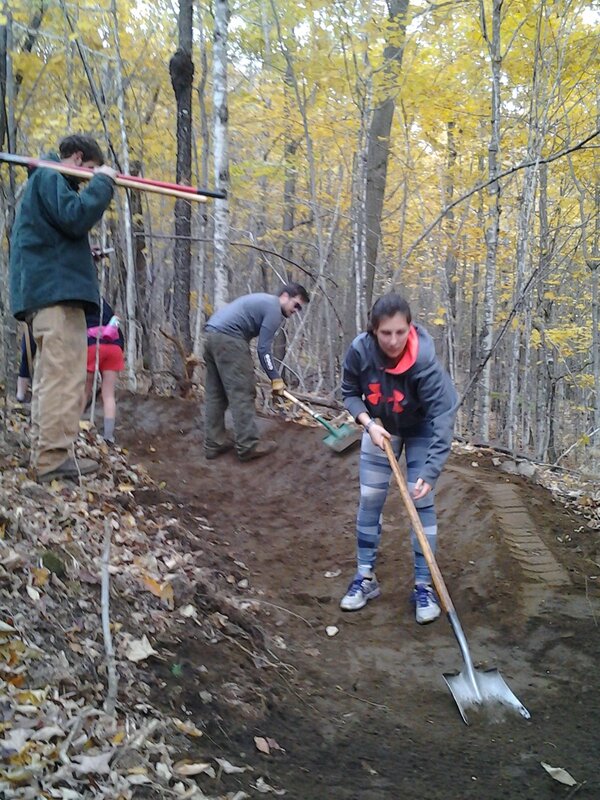 The youngsters swept and remediated nearly 3/4 mile of new trail under the tutelage of CJ Scott of Kingdom Trails and Kraig Sourbeer of BMA. This year the entire school will be riding in the CircumBurke! How is that for a requirement! We truly appreciate their dedication to the event, without BMA and other volunteers there is no way the event could happen. 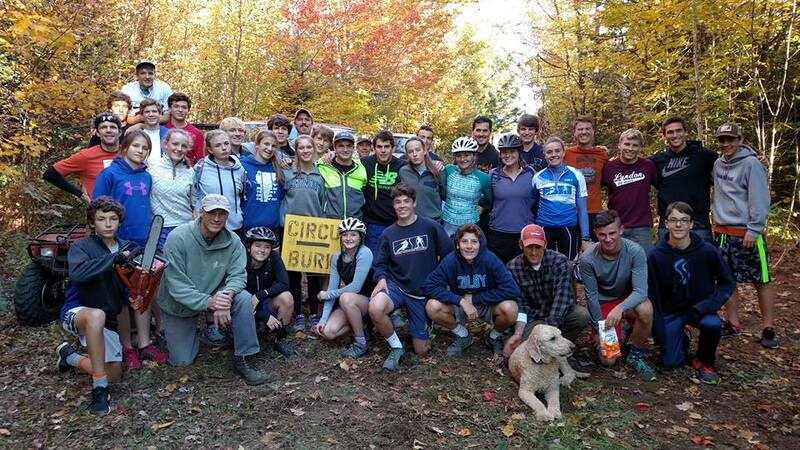 The 7th Annual CircumBurke is a 26+ trail run or mountain bike challenge held in memory of Vermont endurance biker, Dave Blumenthal, It was recently voted Best Mountain Bike Race/Ride by Vermont Sports readers. The Burke Area Chamber of Commerce, Kingdom Trail, Conservation Collaboratives and all of our volunteers and sponsors hope to see you and your families there! PLEASE NOTE: PARTICIPANTS MAY RUN OR BIKE. IT IS NOT POSSIBLE TO DO BOTH EVENTS.